Now that your permanent makeup procedure is complete, you may have some questions about what to expect in terms of care and healing time. While this can vary based on the person and procedure, most of the time the permanent makeup after care process is the same. At Novaline Permanent Cosmetics we will go over all the details with you following your procedure. Below we describe what you can expect from our most common procedures, as well as how to care for your new permanent makeup tattoo to ensure it heals properly and lasts a long time! 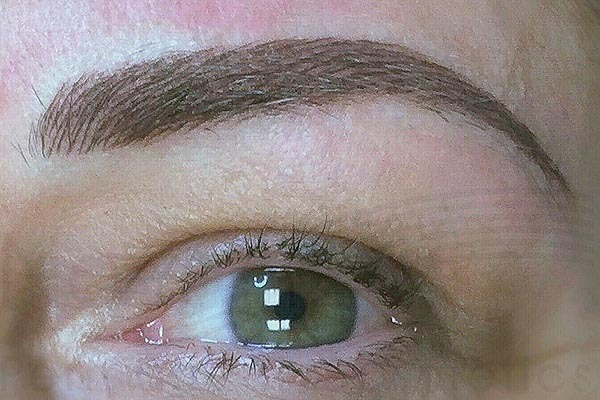 For permanent makeup eyebrows, you will notice they are quite a bit darker than the originally intended colour- don't panic, this is normal. After about 3-5 days, the top layer of skin will begin to peel and the colour will lighten. Generally, minimal swelling occurs in this part of the body, but you may notice the area gets itchy, and it's very important you don't scratch as this can cause infection. For permanent eyeliner, you may find your eyes are a bit puffy or bloodshot the first few days following your procedure. This will subside, especially if you elevate your head while sleeping. The lash area can be tender as the tattoo heals and the skin naturally exfoliates. After about a week to 10 days, the tattoo should be fully healed and it will be okay to put your face directly in water again. 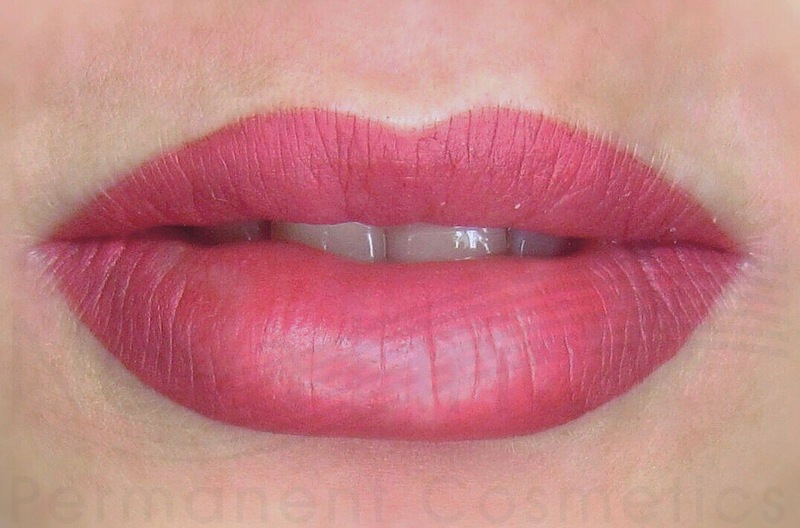 After a permanent lip liner procedure, it's important to avoid spicy and/or salty foods for a few days to ensure you don't agitate your permanent makeup. It's best to drink through a straw as well so your lips don't have direct contact with liquid. Minor swelling is to be expected, as is natural exfoliation. You will notice the colour is very vivid when applied, but will fade to your desired colour after 7-10 days. After approximately 21 days, the lips should be healed completely. It is imperative that you do not peel, pick, or scratch the treatment area. If swelling or discomfort occurs, try putting an icepack on the area that has been wrapped in a cloth. Avoid contact with direct sunlight and water as well, which can have negative impacts on the ink in the early stages of healing. 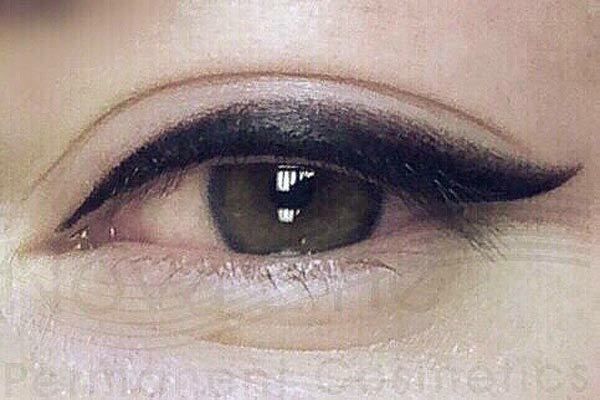 Only touch your permanent makeup tattoo with clean hands or a sterile cotton ball or q-tip. Do your best to keep the area clean and away from makeup, lotions, etc. for at least 5 days so the tattoo can breathe and heal more quickly. Avoid hot tubs, tanning beds, saunas, salt water, and chlorinated pools for a minimum of 2 weeks following the procedure. Once your permanent makeup tattoo has healed, practicing good skin care can help maintain it for much longer. Find a good face cream with sunscreen in it and continue to avoid direct contact with sunlight when possible. The same goes for lipstick or chapstick, both of which can often be found with sun protection as well. Stay away from chemical exfoliators or other harsh treatments that may damage your skin and your permanent makeup tattoo. If you have any questions about caring for your new permanent makeup tattoo, please feel free to give us a call at (647) 883-6251.